Discussion in 'Dovetail Live Article Discussion' started by TrainSim-James, Nov 6, 2018. More than 800 strong, the Long Island Rail Road Bombardier M7 is soon coming to Train Sim World! 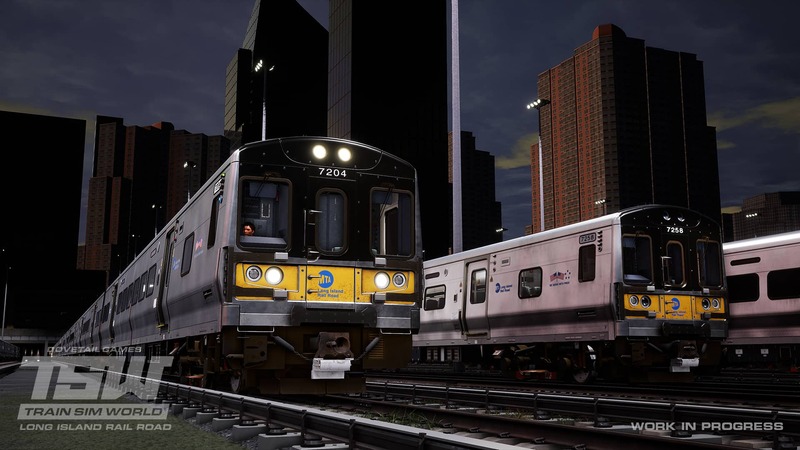 Pre-Order the Long Island Rail Road: New York - Hicksville route for Train Sim World on Windows PC and save 20%. how many service are on game? So is it going to be a November 15th release then? when console version will be released? They haven't even announced it for consoles yet. Looks great have pre-ordered and waiting for release time. my fiancee wont mind if i postpone wedding LOL j/k! Now that's what I call a train enthusiast... and, a now single, man. Lool. Sweet. Looks like West Side Yard got some traffic going on. Hopefully, that is the case for other yards like VD, out of Atlantic terminal and the hillside maintenance facility (or any other yards where M7s may be parked or serviced, along this portion of the mainline route). Hopefully this is out for consoles not long after, personally can't wait to get my hands on that M7! will The LIRR Update be released on Xbox one on day of Release or Later date after Steam, PC has received the Update? It's not an update. It will be a paid DLC which you are expected to buy upon release of the console version. PC version isn't free either. This looks so amazing. I already preordered it! I also have my copy! Waiting to drive to Hempstead! Are there going to be working destination boards in and on the side of the trains? I was told its coming out the 16th of November, is this correct or is there still no confirmed release date? Will it ever be available on Console editions? Why are we expected to buy it? Read the message that I quoted. Will Port Jefferson or ronkonkoma make it into train sim World in the future someday?